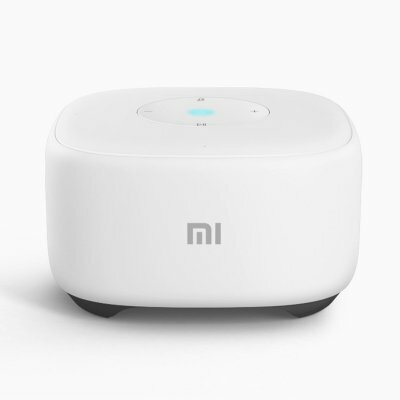 Successfully Added Xiaomi Ai Mini Bluetooth Speaker – 1.5-Inch Speaker, 78dB, Bluetooth 4.1, Lightweight, Voice Control, iOS Android Compatible to your Shopping Cart. Enjoy your favorite tracks anywhere you go with the Xiaomi Ai Mini Bluetooth speaker. Thanks to its lightweight and compact design, this wireless speaker can be easily carried around or placed anywhere in your home. It comes with a spotless white and modern design thanks to which it fits great in any modern interior. Whether you use it at home, the office, or outdoors – with this Bluetooth speaker you’ll always be able to listen to your songs in style. This Bluetooth speaker from Xiaomi is compatible with both iOS and Android devices. It comes with a high-end 1.5-Inch speaker that treats you to audiophile-grade music quality in up to 78dB. Thanks to Bluetooth 4.1, you can be assured that you’ll always undergo a smooth and lag free audio experience no matter where you are. The Xiaomi Ai Mini Bluetooth speaker furthermore comes with a built-in microphone for handsfree phone calls. Thanks to its unique intelligent voice operation mode, you can easily control your Bluetooth speaker by voice. Additionally, your smart Bluetooth speaker supports other high-tech feature such as time management and weather updates. Listen to music in style anywhere you go with the Xiaomi Ai Mini Bluetooth speaker. No matter where you are, this wireless speaker is guaranteed to do its job. This Bluetooth speaker comes with a 12 months warranty, brought to you by the leader in electronic devices as well as wholesale wireless speakers. Note: It is only support Chinese Language.